OMGSH!!! 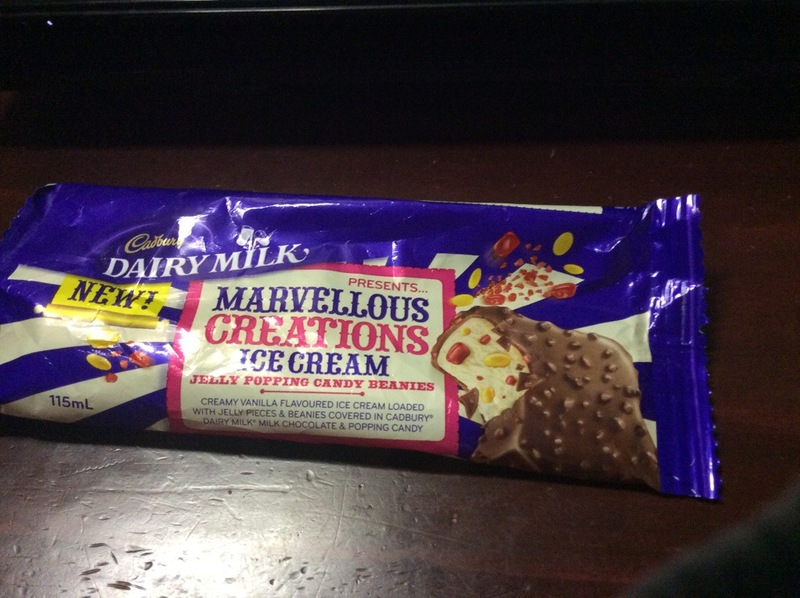 This amazing definitely marvellous ice cream is so gobsmackingly AWESOME!!! Once you bite into it, you hear these mini popping sounds which is super dooper cool!! There’s some jelly pieces but it was so satisfying to eat!!! The most surprising thing is that it wasn’t as sweet as I would’ve thought which is great! Gonna munch on another one now~~ bye bye healthy life!